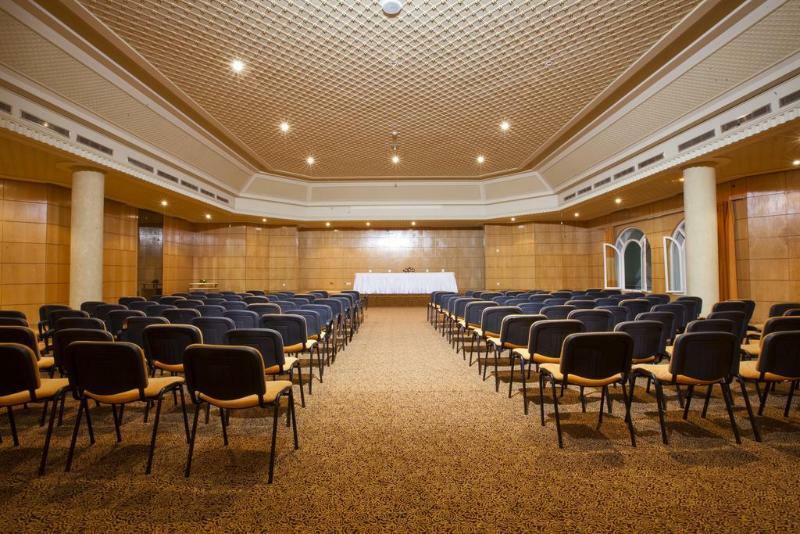 This hotel will appeal to couples and families looking for a beachfront holiday offering varied facilities and a friendly atmosphere. 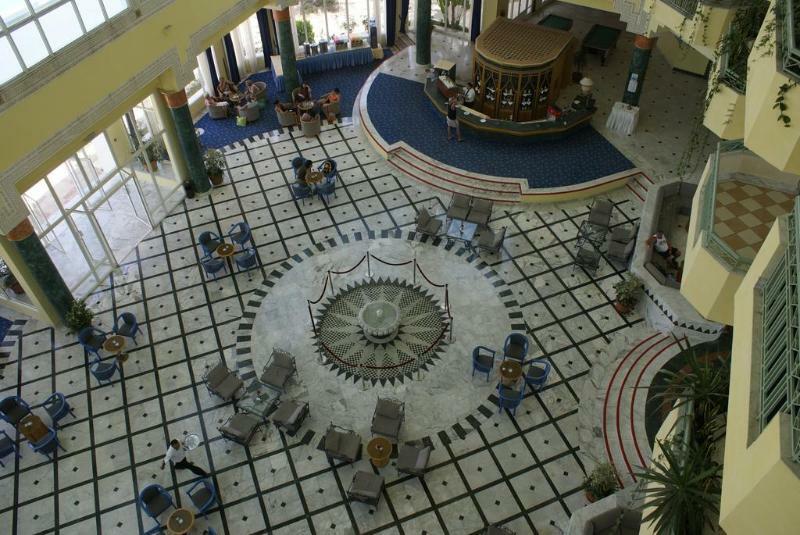 El Mouradi El Menzah Hotel has outdoor swimming pools and a pool for children set in a large sun terrace with sun loungers and parasols. Water sports are available at the beach (local charge) such as jet skis, canoes, pedal boats and windsurfing. 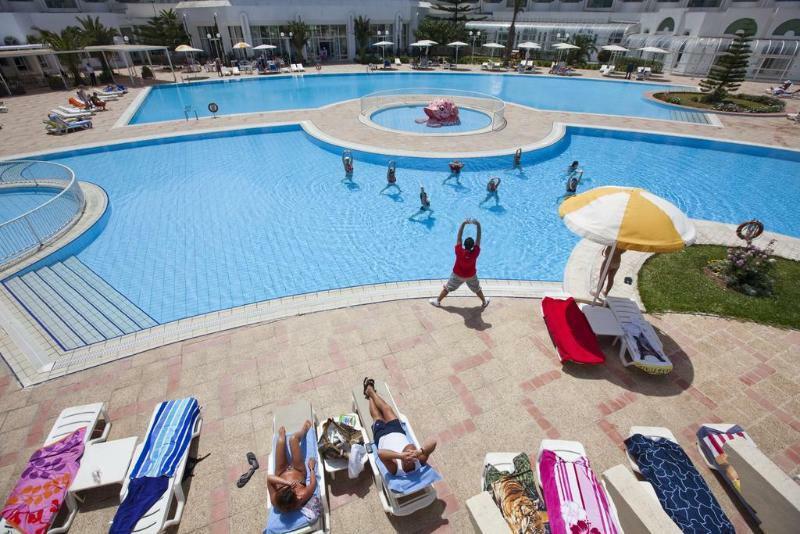 Further leisure facilities and activities available at the hotel include an indoor pool, a tennis court, basketball, beach volleyball, minigolf, table tennis and pool tables, petanque and a fitness room. The Spa (local charge) has a massage room, a jacuzzi, a hammam and a sauna. 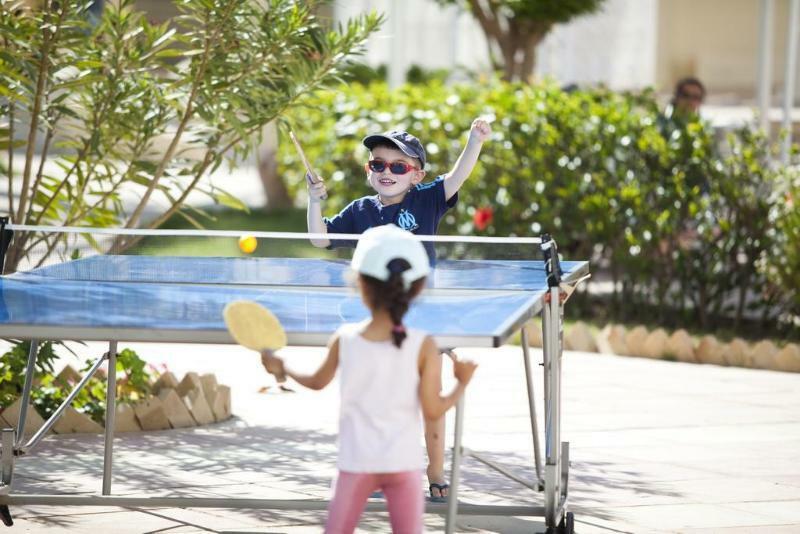 The entertainment team provide a variety of activities for adults and there is a kids club for children. 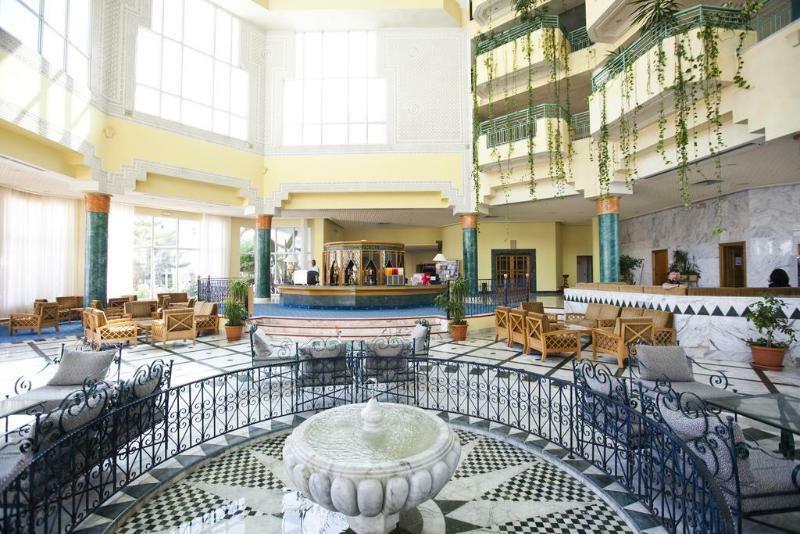 Social and dining venues at the hotel include a buffet restaurant, a cafe, a bar, a nightclub, a beach bar and a pool-side snack bar. 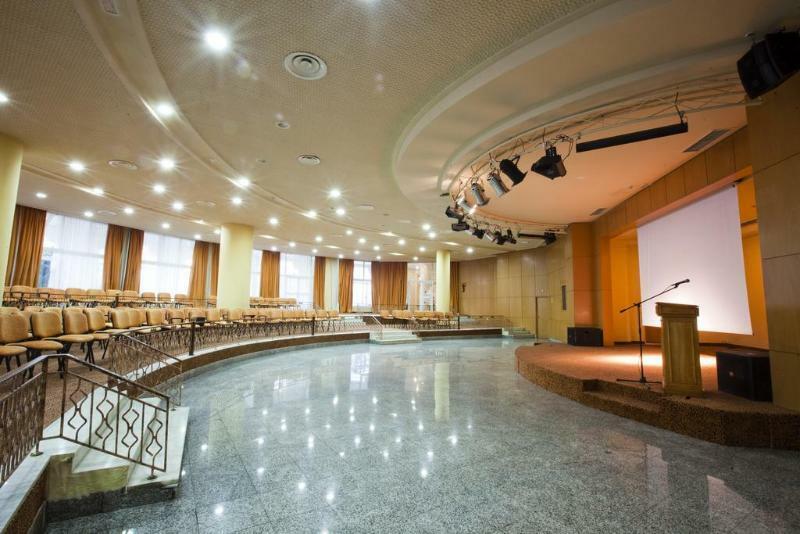 Amenities and services available to guests include 24 hour reception, WiFi in public areas, currency exchange, room service and lift access to upper floors. There is also a laundry service, medical assistance, baby sitting, a hair salon and a gift shop (all with local charge). 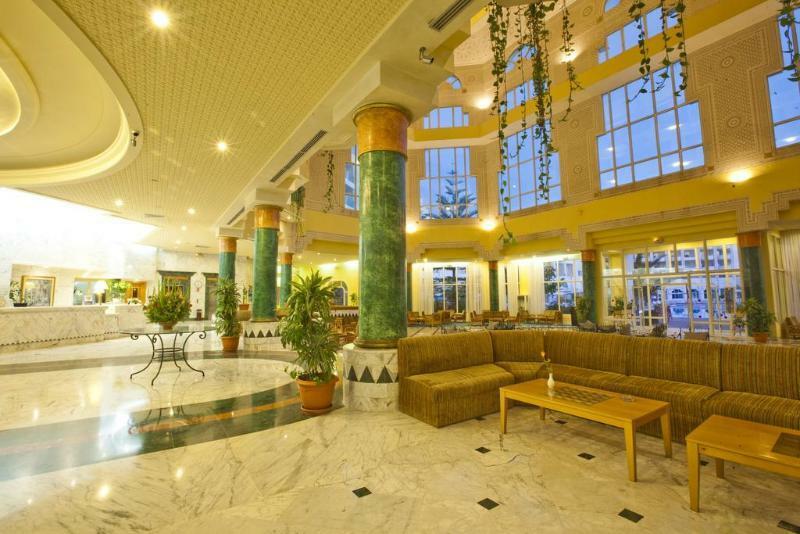 El Mouradi El Menzah Hotel has 215 spacious guests rooms, including 12 suites which have also have a living area. All rooms have an en-suite bathroom and a terrace or balcony. Rooms feature satellite TV, internet access, a direct dial telephone, a hair dryer, a mini bar, heating and individually controlled air conditioning. Breakfast, lunch and dinner served buffet style in the main restaurant, one dinner a week entitlement at the A la Carte restaurant, snacks, coffee and cake in the afternoon and local alcoholic and soft drinks are served between 10:00 - midnight in selected service areas. Loved it, great spacious rooms, free wifi throughout, centrally located and amazing staff. Booking for October. 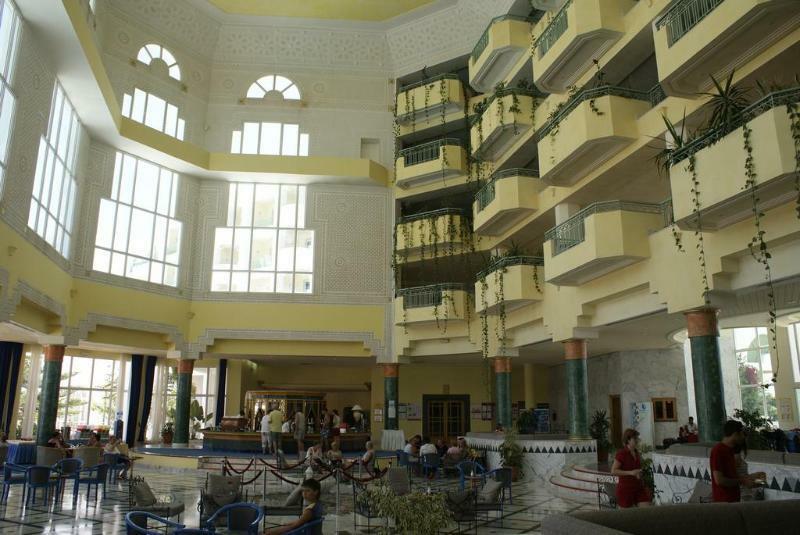 El Mouradi Hammamet which is the 5 star sister hotel - more for your money. Great hotel, good food and friendly staff.